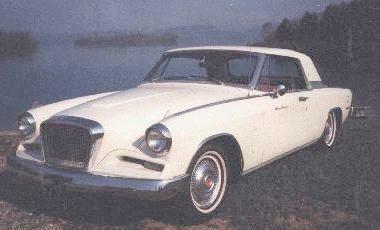 This is the second time that a 1956 Studebaker Golden Hawk has been Stude of the Month. This example belongs to Tom Van Scoyoc of Westminster, Maryland. 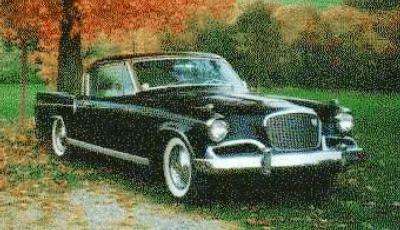 The all black color scheme is unusual, since most 1956 Golden Hawks were two-toned. The 1956 Golden Hawk was powered by a 352 cubic inch Packard V8. 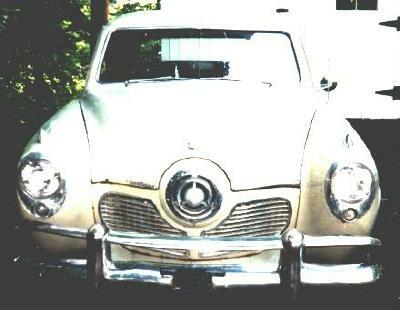 Most were equipped with Packard's "Ultramatic" automatic transmission. The Golden Hawk was one of the fastest American production cars available in 1956. I just love those wide white walls. This 1951 Land Crusier was recently purchased by Bill Stillman of Peekskill, New York. Plans are to restore it as a police car. Bill indicates that the City of Peekskill had Studes from 1947 to 1954. The 1951 Land Cruiser was powered by the new for 1951 232 cubic inch displacement Studebaker V8. This is a "before" shot. Hopefully we will also get an "after" shot. 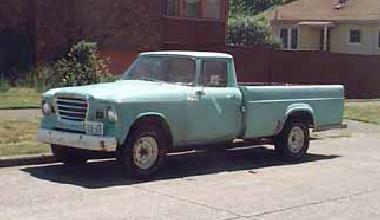 This 1962 Champ Pickup needs some work. The term "usual rust" probably applies here. Nevertheless, it appears to be very restorable. The production of Champs was relatively low compared to the C Cab and M Series. This example has the wide box which gives it a relatively modern look. The picture is from a recent "for sale" ad.